Dillistone Group Plc, the AIM quoted supplier of software for the international recruitment industry, is pleased to announce that its new GatedTalent business has reached a further landmark. 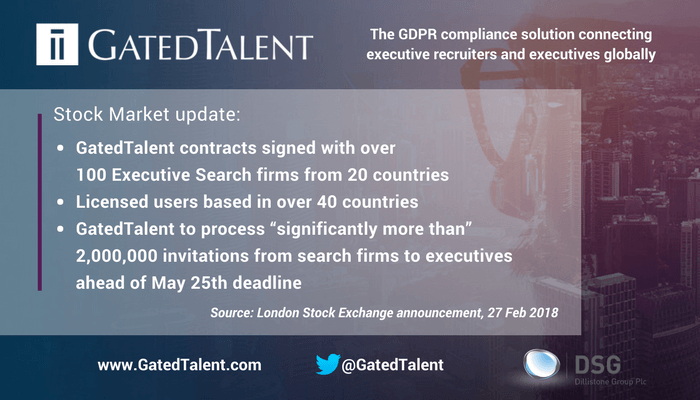 Launched at the World Executive Search Congress in October 2017, the Company today revealed that in less than five months GatedTalent has signed its 100th client contract. Contracts have been signed with organisations headquartered in more than 20 countries. In addition, the Company reports that the global nature of its clientele means that the platform has been licensed for use in more than 40 countries. The Company has previously stated that GatedTalent is the fastest growing new product in its history. We are now pleased to report that demand has accelerated in February, with close to two new contracts being signed each working day in this month. Subscription revenue for the product is now expected to be ahead of initial expectations. 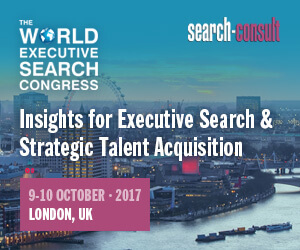 Commenting, Jason Starr, Chief Executive at Dillistone Group, said: “The take-up of GatedTalent by the search industry is a strong endorsement. Like us, they see that GatedTalent is an opportunity to transform how executives engage with recruiters. “The international interest beyond the European borders is equally encouraging, demonstrating the global nature of the opportunity for GatedTalent.